Our Flower corsages come in all types of fabric and embellishments, please choose from some of the options below so that we can make one just for you. If you have any specific request please use our contact form. 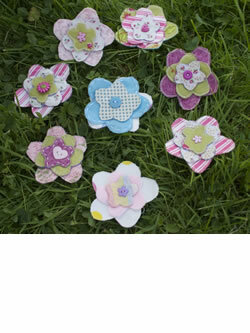 All of our flower corsages have a brooch safety back to attach to whatever you choose! All are individually handmade, so slight variations may occur. All flower corsages measure approx 8cm at the widest point. It is not recommended that these corsages be washed as they contain felt and small embellishments.